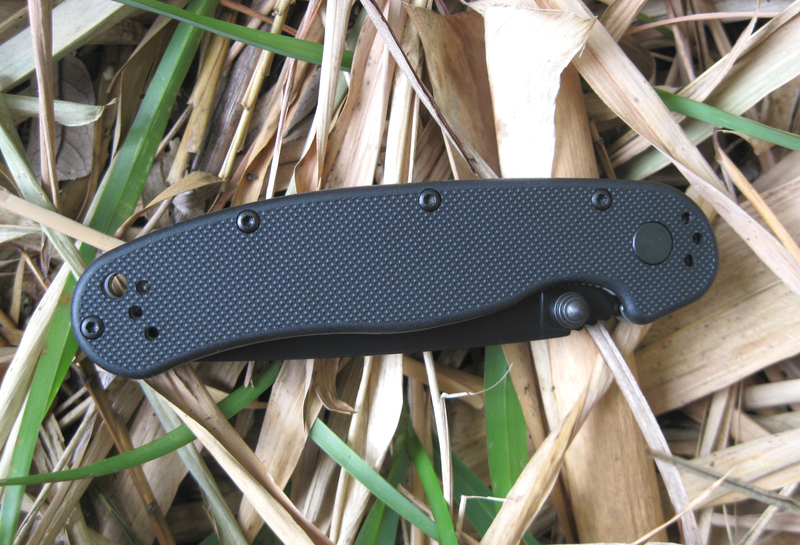 I had no idea there would be a backstory of deceit and intrigue when I did a little research on the Ontario Knife Company‘s RAT Model II folder I had just stolen for under $30.00–with shipping. 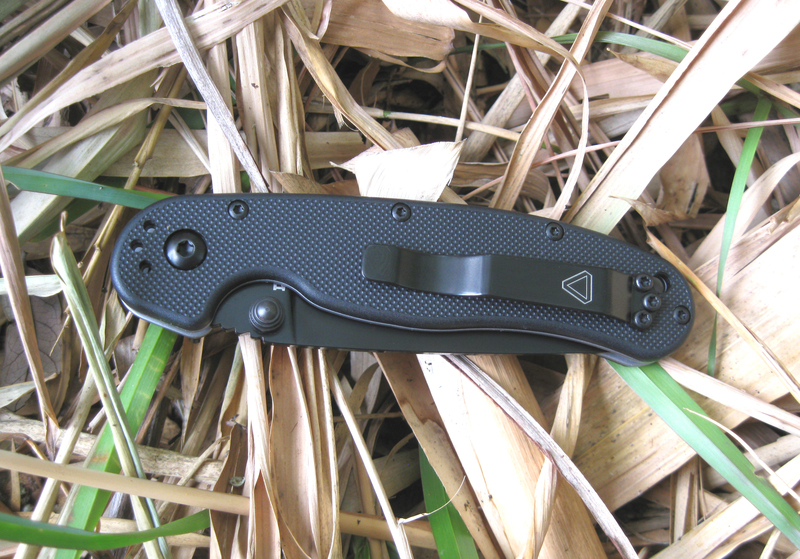 When I saw the original Ontario RAT I folder, I liked its utilitarian appearance. It reflected the Randall’s Adventure & Training reputation for rugged exploits, but it was a bit large for my needs as my current “Amazon jungle” has a woven synthetic floor and a drop ceiling canopy. An Ontario RAT II folder, with a 3 inch blade and OAL of 7 inches, was more slacks-worthy than the Model I’s BDU-friendly dimensions. Ah, on to the intrigue… I was intrigued by the RAT II’s reported 2.8 ounces, despite it having full stainless steel liners. Posts replace a backspacer, freeing up mass. The liners and posts are bead blasted and provide a nice contrast to the remainder of the RAT II’s blacked out exterior. 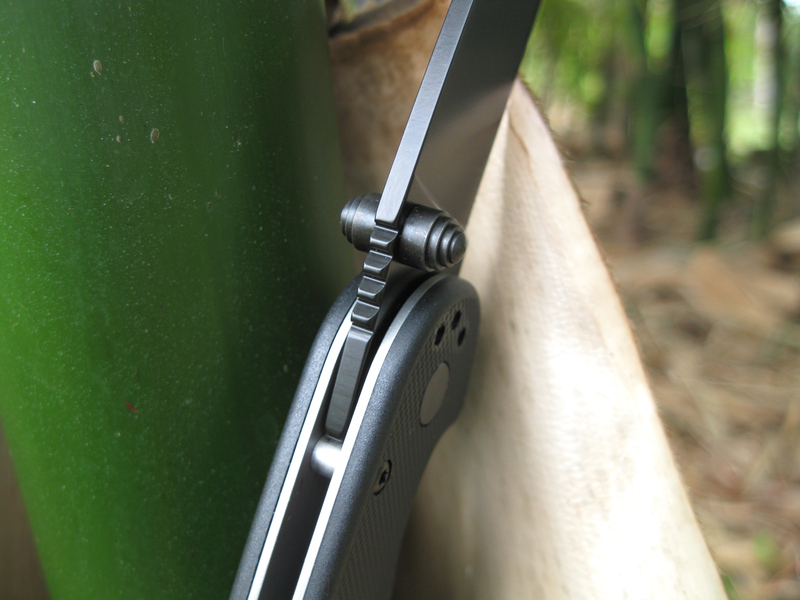 Ontario screws on lightweight FRN scales that very much simulate the look and feel of a G10 composite. All this adds up to the light feel. 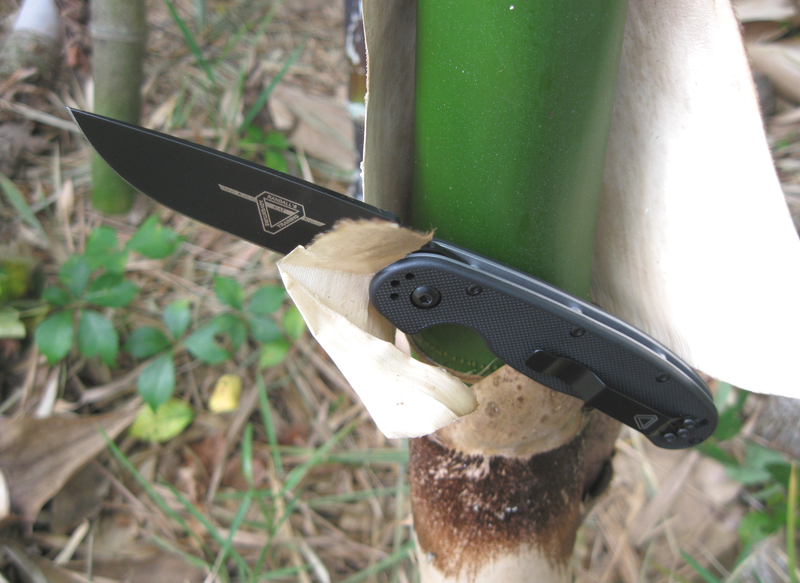 The knife’s AUS-8 stainless steel blade has a drop point profile, flat grind, and modest distal taper, thus the RAT II retains a strong tip. It exited the box and bubble wrap with a keen edge. My daily chores have not yet defeated the blade’s Rockwell 57-59 hardness. 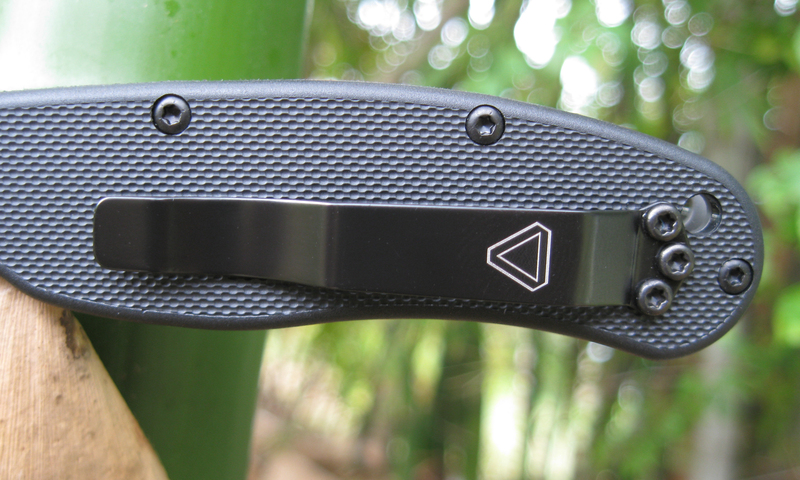 An unidentified black coating on the blade looks great and has been durable. So, what is the dark secret to which I hinted? Randall Adventure & Training owner Jeff Randall concedes that Randall’s Adventure & Training designed the RAT folder, yet they no longer maintain a business relationship with Ontario. 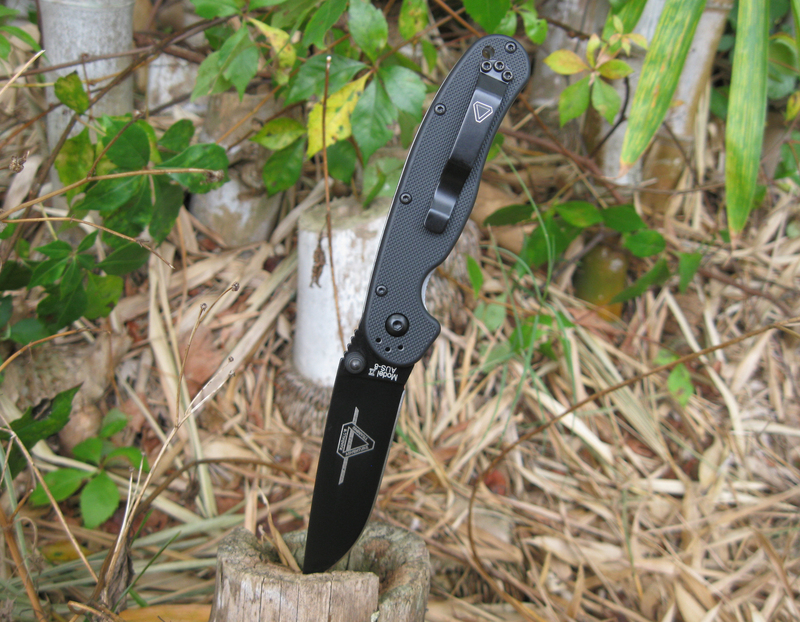 This in spite of the RAT logo on the blade and the four-position pocket clip. 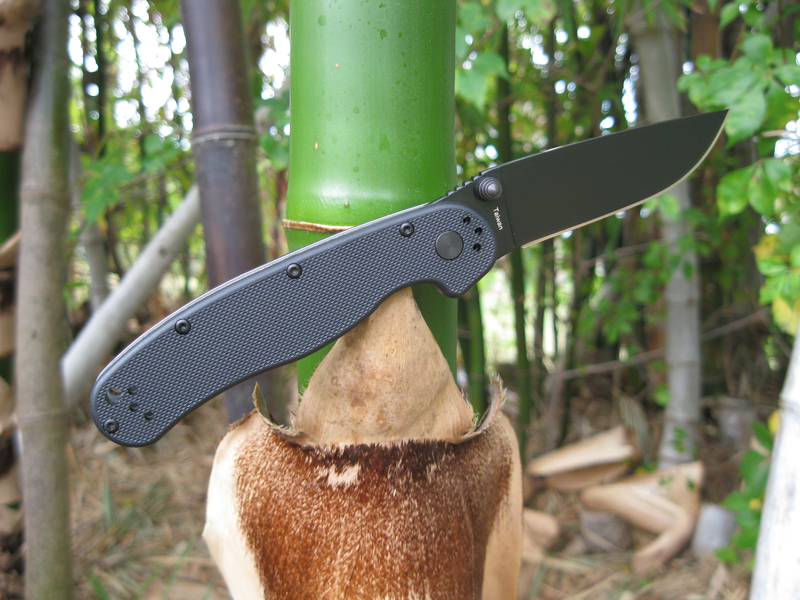 Jeff Randall said on his forum, “Bottom line is we (Mike Perrin, Jeff Randall, Rowen or ESEE Knives) have nothing to do with Ontario or this product except the fact we designed it and had a 5 year contract with Ontario. Ontario has the RAT name trademarked under the Knife/Cutlery goods and services. We simply choose not to be in a fight over this anymore. We wish them well and we will continue on as is with ESEE.” Ouch. Should I feel guilty about my ownership of a RAT II folder? Nah. It is an inexpensive knife made with good quality control. If Randall and Perrin are letting it loose without further fight, I will take that as their blessing (though through their clenched teeth). Seriously, I was skeptical about the price point vs. construction of this knife, but it is solid and performs properly. 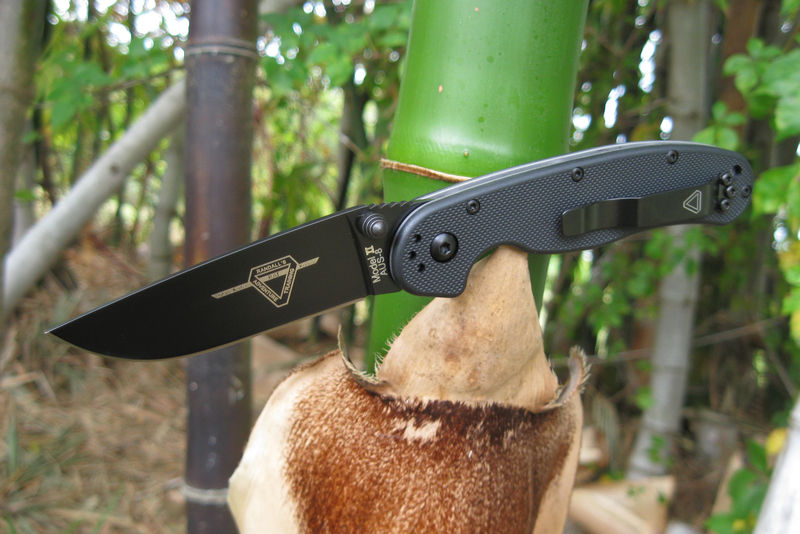 Ontario’s RAT II folding knives are available with black or satin blades. 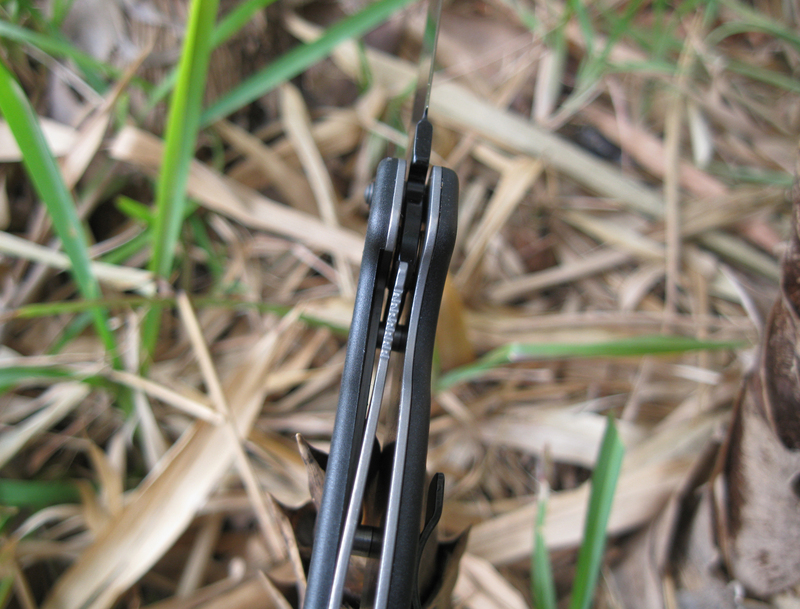 I have seen the nylon handle scales in black, pink, and in its rare state, brown. I recommend them as a well-made, economical daily carry knife. Enjoy! This entry was posted in Knives and tagged Folding Knife, Jeff Randall, Ontario Knife Company. Bookmark the permalink. Nice review! I have an Ontario Rat 1 folder, which is basically the same design but a bit larger, and I absolutely love it. Ontario is definitely a solid company. The 2.8 oz weight sounds like it makes for a great EDC blade. I appreciate your stopping by, griff20!